Hardest-hit areas include Sugar House and near ballpark; some spots saw inches of rain in a few hours. 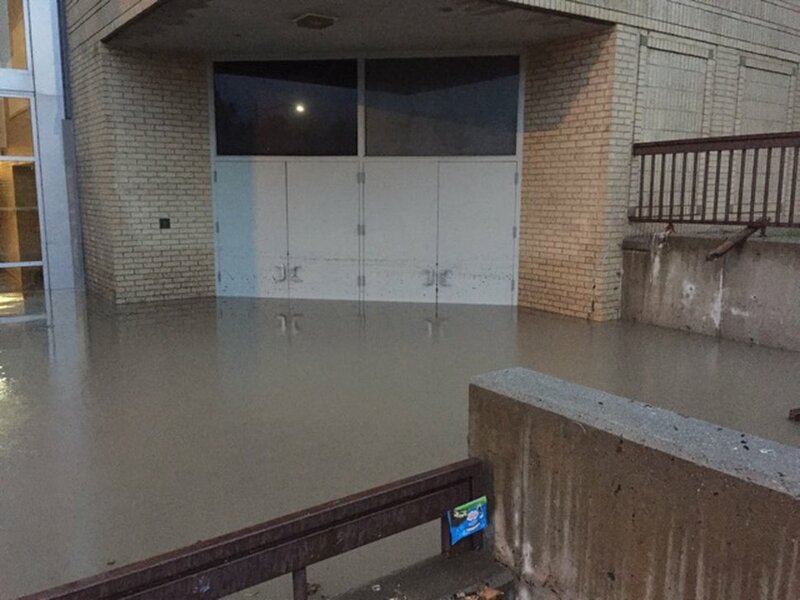 Heavy rain overwhelmed storm drains along the Wasatch Front early Wednesday, flooding homes, damaging schools — including East High School — and closing down numerous low-lying intersections and reducing much of the morning commute into a crawl. 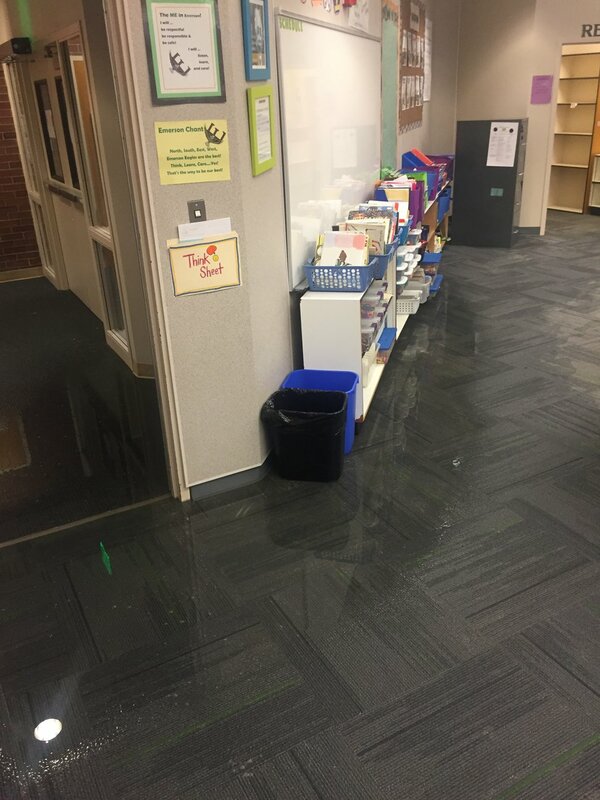 Also damaged by flooding was the Salt Lake City Library's Sprague Branch, where several feet of water in the basement damaged books and computers and will cause a closure of several months. "The sudden occurrence and intensity of this storm is a 200-year event in Salt Lake City," said Laura Briefer, director of the city's Department of Public Utilities, in a news release. Some areas of Salt Lake City experienced more than 2 inches of water in just a few hours, according to the news release. 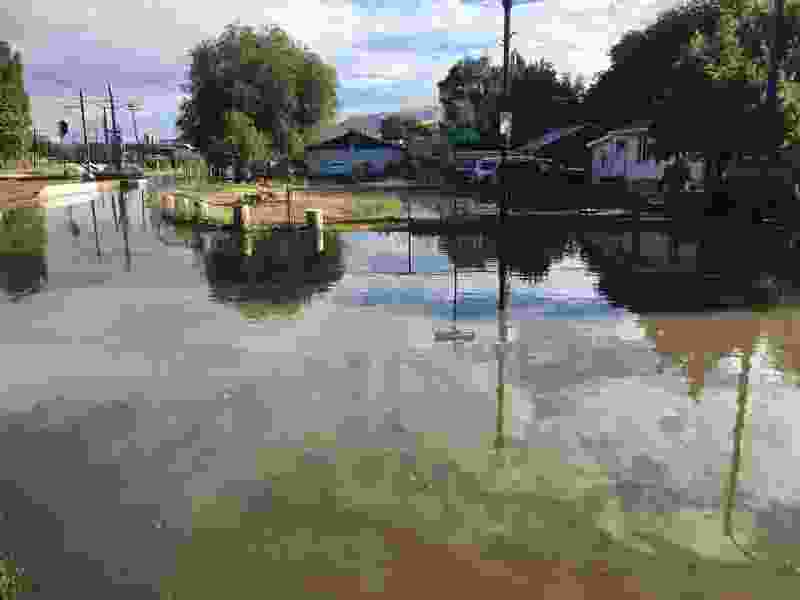 Hardest hit were neighborhoods in Sugar House, near Smith's Ball Park and along the Jordan River, the news release said, where between 20 to 30 home owners had reported flooding. 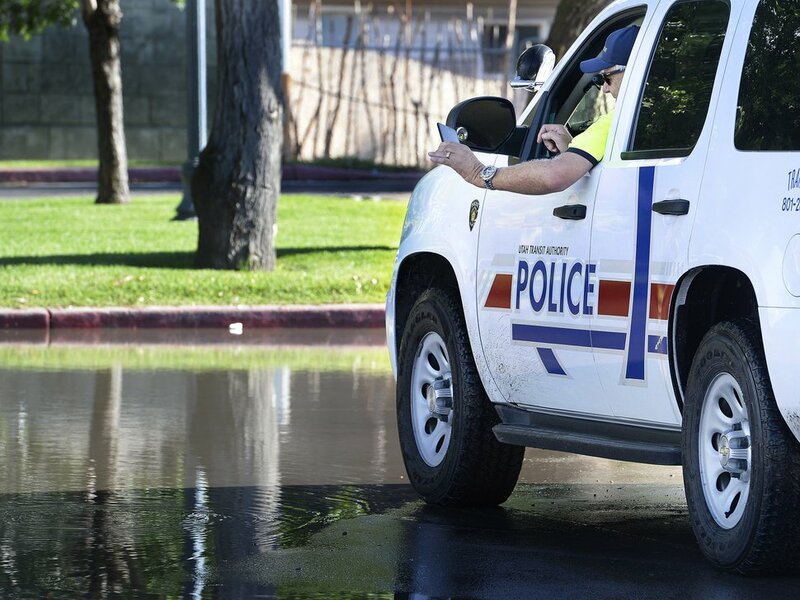 Officials encouraged for residents and businesses dealing with storm damage in Salt Lake City to call 801-483-6700 (press option 1), to report flood damage to property, flood-related debris in the streets and flooded streets. 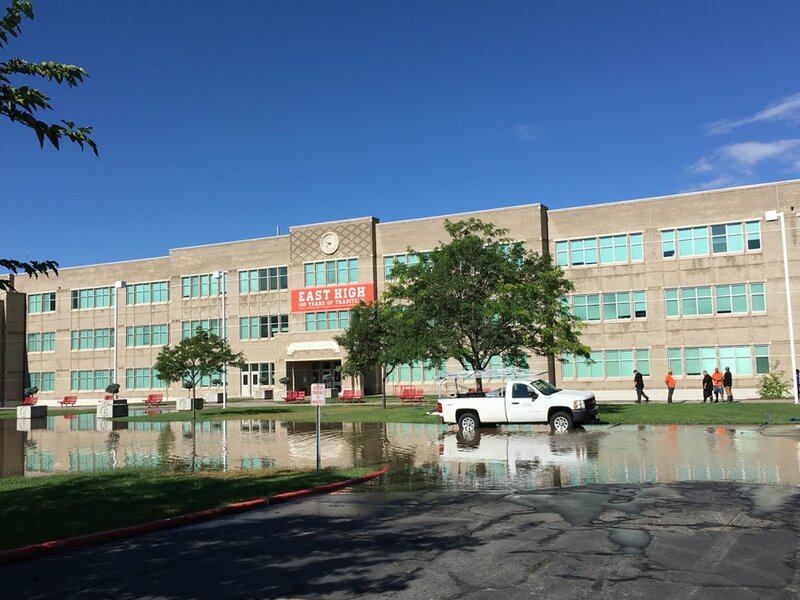 The Salt Lake City School District reported flooding at four schools, including between $2 million and $3 million of damage at East High School. 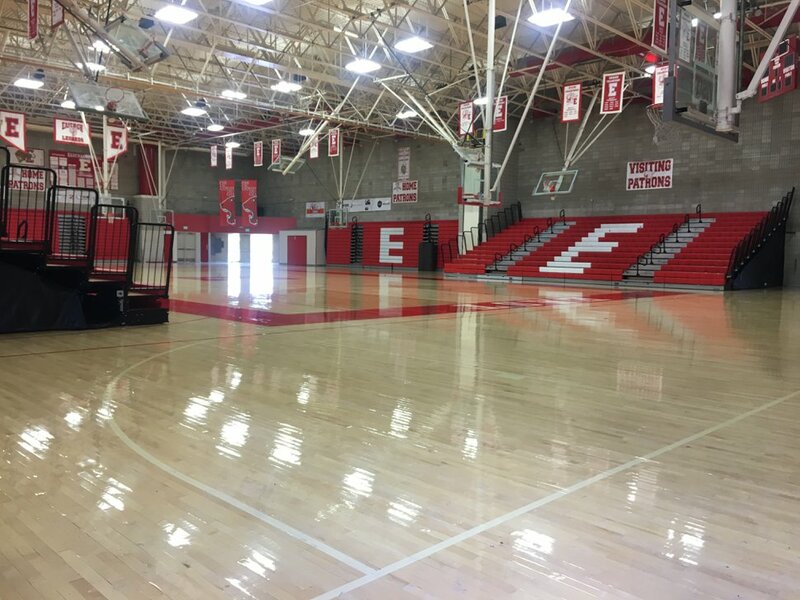 The school's entire basement level was flooded, district spokeswoman Yandary Zavala Chatwin said, and standing water remained on the basketball court and in several ground-level classrooms Wednesday afternoon. "There's so much water," she said. 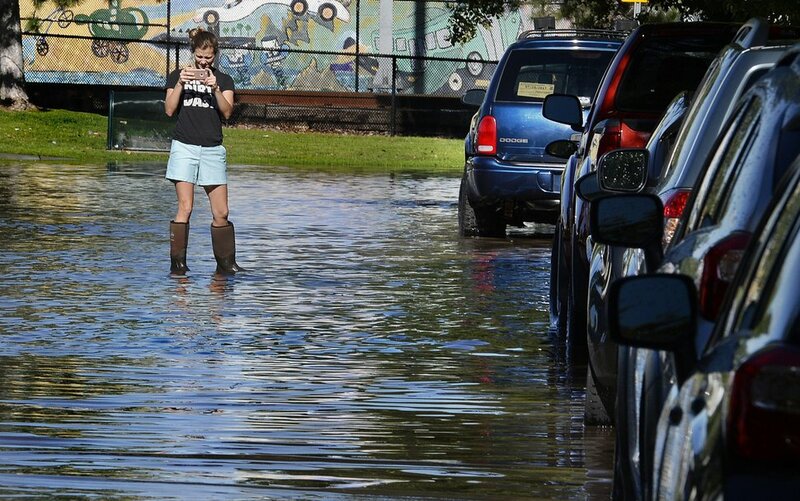 "They're still trying to get the water out before they can assess the final damage." 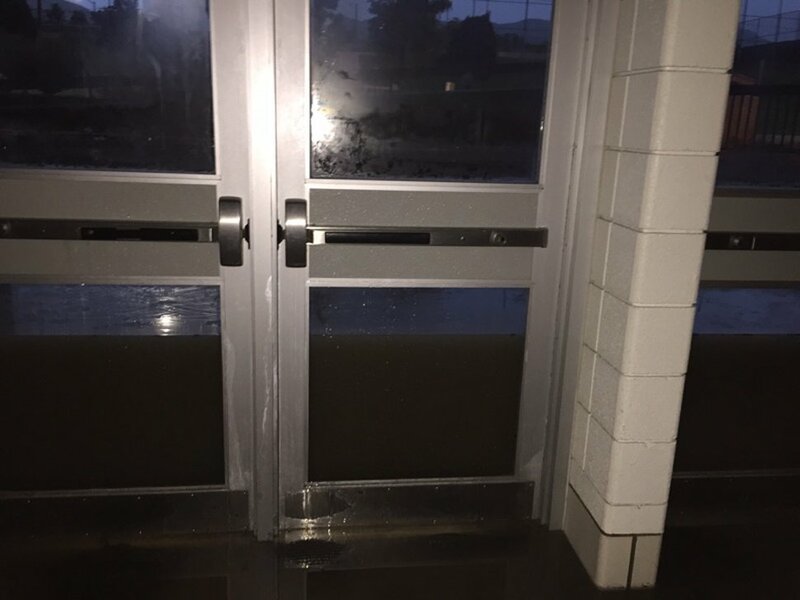 Emerson Elementary, Salt Lake Center for Science Education and Highland High School also experienced interior flooding. At Highland High School, the damage also included a downed cottonwood tree that fell onto a batting cage. Zavala Chatwin said the clean-up is not expected to affect the start of a new school year next month. "We anticipate being able to get it done by the 21st of August," she said. staff arrived to find "a lot of books and furniture floating" in the basement of the building, said library spokesman Andrew Shaw. 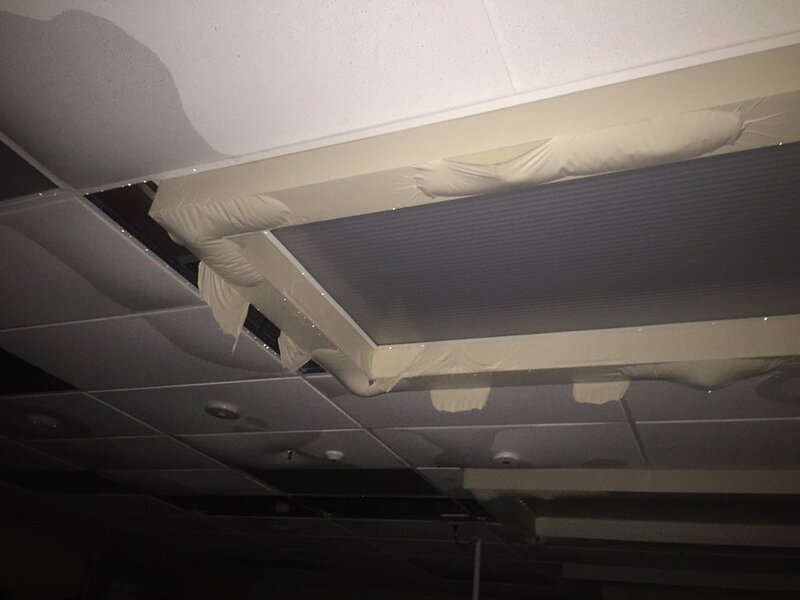 Shaw said damage was contained to the basement, which houses the branch's non-fiction books, children's collection, computers and public meeting rooms. Also Wednesday morning, public safety dispatchers across the valley were swamped as they mobilized police from Draper north through South Salt Lake, Murray, Millcreek, and Salt Lake City proper to answer calls for help from motorists stranded or stuck in water a foot deep or more. Rocky Mountain Power reported weather-related outages throughout the Davis County and Salt Lake metro areas, which temporarily left about 4,200 residences and businesses without electricity as of dawn Wednesday. 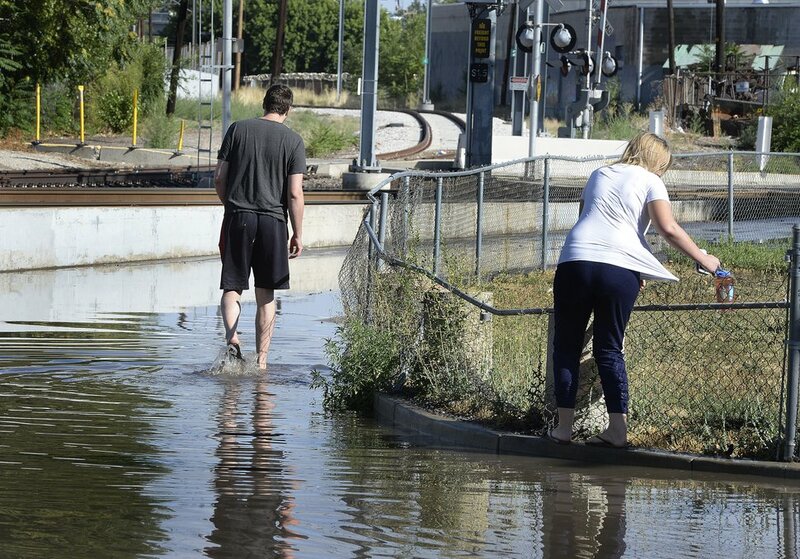 Localized flooding along the TRAX light rail line, between 900 South and 1300 South, led to use of a "bus bridge" to carry passengers until 11 a.m., when full service was restored, Utah Transit Authority reported. The National Weather Service minced no words in describing the precipitation from overnight thunderstorms along the Wasatch Front as "torrential." 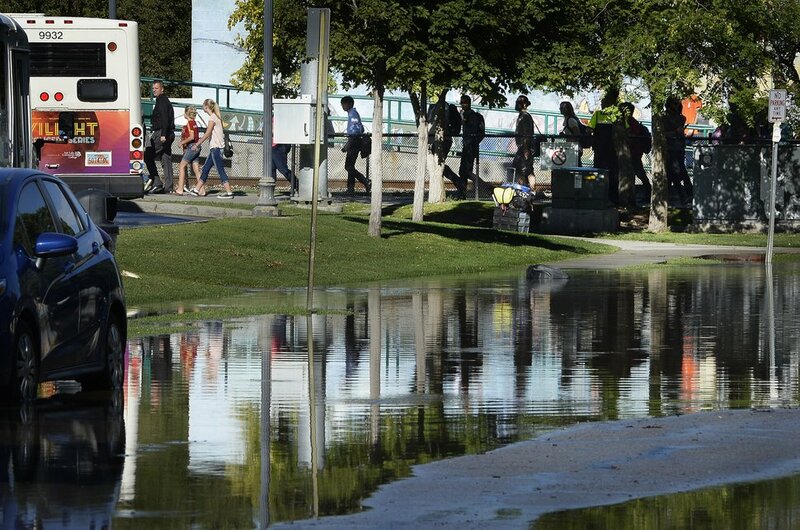 Between midnight and 6 a.m. Wednesday, 2.38 inches of rain fell on the Sugar House region of Salt Lake City, with the University of Utah campus measuring 1.35 inches, Riverton and Draper about 1.2 inches, and Emigration Canyon 1.05 inches. In Davis County, Farmington reported 0.63 inches during the six-hour period, while Bountiful had 0.52 and Kaysville and Layton about a quarter-inch each. More thunderstorms — albeit lighter — were predicted into Thursday morning in the Salt Lake and Tooele valleys. Thursday's high temperatures will be in the low-90s, up a few degrees from Wednesday's forecast; Friday promised highs in the mid-90s for Salt Lake City. Meantime, southern Utahns got a pass from the thunderstorms. Under sunny skies, highs Thursday will be near triple-digits, up about 5 degrees from Wednesday's forecast. Friday's temperatures in Utah's Dixie will hover around 102 degrees. Scott Sommerdorf | The Salt Lake Tribune A Lucy Street resident got out into the flooded street in her boots to examine the flooded street. Northbound Main Line TRAX trains were prevented from leaving the Ballpark TRAX station due to flooding, Wednesday, July 26, 2017. 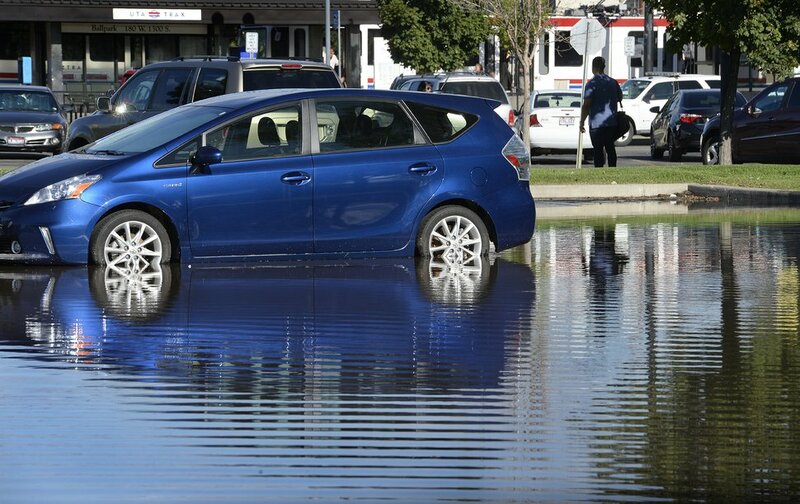 Scott Sommerdorf | The Salt Lake Tribune The flooded parking lot at the Ballpark Station. Northbound Main Line TRAX trains were prevented from leaving the station due to flooding, Wednesday, July 26, 2017. Northbound riders were taken via a bus bridge to the next station. 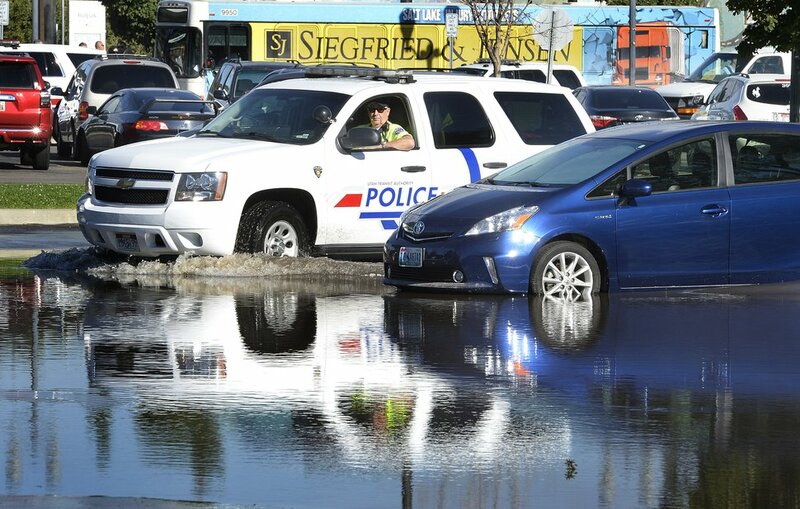 Scott Sommerdorf | The Salt Lake Tribune A Utah Transit Authority officer drives through the flooded parking lot at the Ballpark Station. Northbound Main Line TRAX trains were prevented from leaving the station due to flooding, Wednesday, July 26, 2017. Northbound riders were taken via a bus bridge to the next station. Scott Sommerdorf | The Salt Lake Tribune Northbound TRAX riders were taken via a bus bridge from the Ballpark Station to the next stop. Northbound Main Line TRAX trains were prevented from leaving the station due to flooding, Wednesday, July 26, 2017. 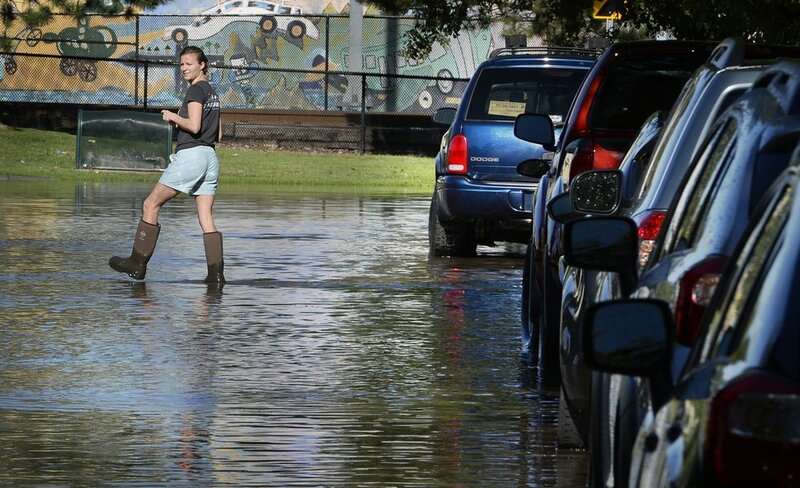 Scott Sommerdorf | The Salt Lake Tribune A Lucy Street resident got out into the flooded street in her boots to make a photo of the flooded street. Northbound Main Line TRAX trains were prevented from leaving the Ballpark TRAX station due to flooding, Wednesday, July 26, 2017. Scott Sommerdorf | The Salt Lake Tribune A Utah Transit Authority officer makes a cellphone photo of the flooded parking lot at the Ballpark Station. Northbound Main Line TRAX trains were prevented from leaving the station due to flooding, Wednesday, July 26, 2017. Northbound riders were taken via a bus bridge to the next station. 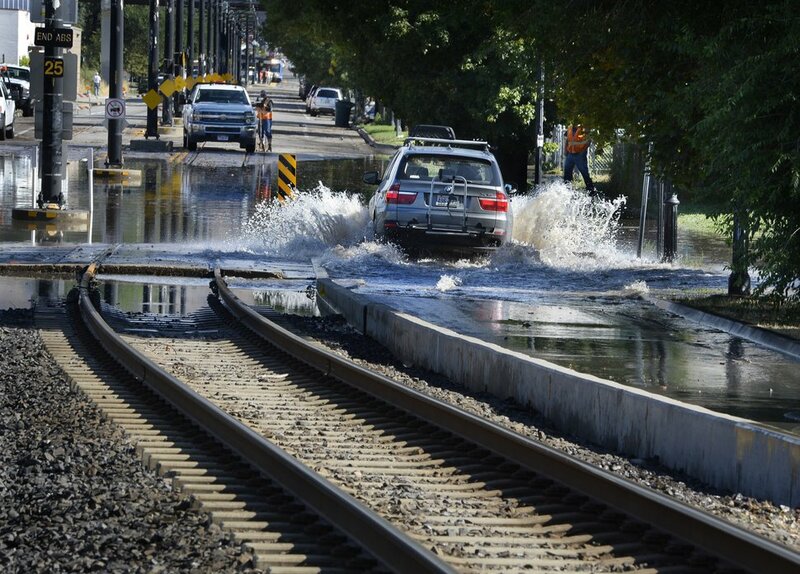 Scott Sommerdorf | The Salt Lake Tribune A determined motorist plowed through northbound 200W next to the flooded TRAX line. Northbound Main Line TRAX trains were prevented from leaving the Ballpark TRAX station due to flooding, Wednesday, July 26, 2017. 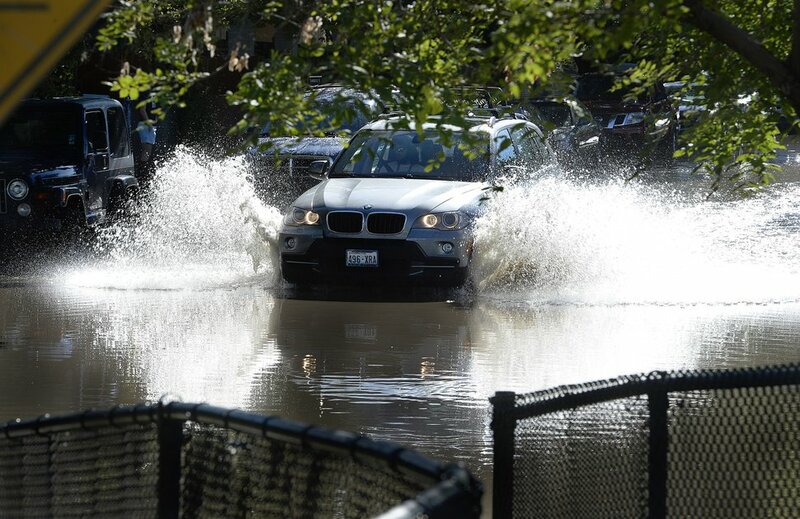 Scott Sommerdorf | The Salt Lake Tribune A determined motorist plowed through flooded Lucy Street to get to northbound 200W. Northbound Main Line TRAX trains were prevented from leaving the Ballpark TRAX station due to flooding, Wednesday, July 26, 2017. 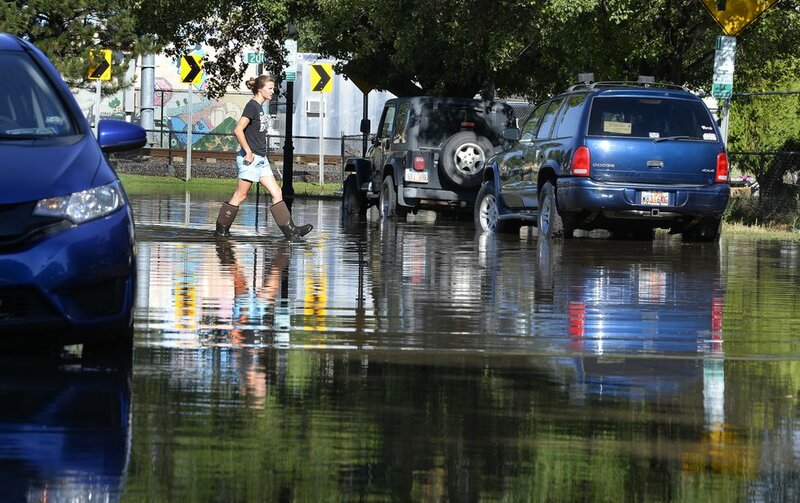 Scott Sommerdorf | The Salt Lake Tribune Lucy Street residents got out into the flooded street to try and walk around the corner to 200W. Northbound Main Line TRAX trains were prevented from leaving the Ballpark TRAX station due to flooding, Wednesday, July 26, 2017.